What Can We Learn From Highland Cattle? June 19, 2014 in Animal Stories and Principles, What Can We Learn From... ? Highland cattle have to be my favourite breed of cattle, partly due to their Scottish heritage (like my wife’s) and partly due to their rugged looks. However, there’s more than meets the eye with these iconic animals. I was researching them with Hayden for his animal blog and as I read about how well suited they are for thriving in difficult situations, I realised how much we can learn from these magnificent beasts, especially when we are going through bad times. So, what can we learn from highland cattle? Grow a thick skin. With their lovely thick coat, highland cattle are extremely well suited for living in harsh conditions and they are able to withstand severe snow and strong winds. One of the realities of life is that there will be difficult times and challenging moments, the question is will you crumble under that pressure or do you have the resilience to cope? I’ve met a lot of people who are happy to blame the economy, their upbringing, their boss or other seemingly reasonable factors for their inability to have successful careers, businesses or relationships. Alternatively, in the past couple of weeks, I’ve had the privilege of meeting a couple of impressive young people who were refugees from war-torn Afghanistan and have been able to achieve remarkable deeds in their short careers in Australia already. They could have made all sorts of excuses for just surviving their situations, but they have chosen to thrive despite their backgrounds and circumstances, displaying the resilience and thick skin required to be successful in an often unfair world. Take advantage of every opportunity. One of the unique characteristics of highland cattle is that in addition to the normal grazing and browsing that other breeds of cattle do, they are not above eating other plants that normal cows avoid. This enables them to thrive on steep slopes and during long, cold winters as they happily consume virtually any vegetation that they come across. During difficult times, it can become easy to believe that there are no opportunities, when that isn’t necessarily the case. If you’re unemployed during a slow economy, that doesn’t mean that there aren’t any jobs available, it just means that you have to hustle harder and be more creative in going after the jobs that are out there. If your business is struggling, don’t rely on yesterday’s marketing techniques and old products or services to turn things around. You need to find new ways of operating, new pricing strategies, new markets and more effective sales skills. There is no point complaining about the factors that you don’t control, when there are plenty that you do. And there is no point fixating on the opportunities that aren’t there, when there are resourceful people who are able to create, identify and take advantage of the new and often unrealised chances that are there for those who are eager to find them. So, the next time you are going through a difficult situation, remember the highland cattle and find the thick skin and opportunist mentality required to make it through. 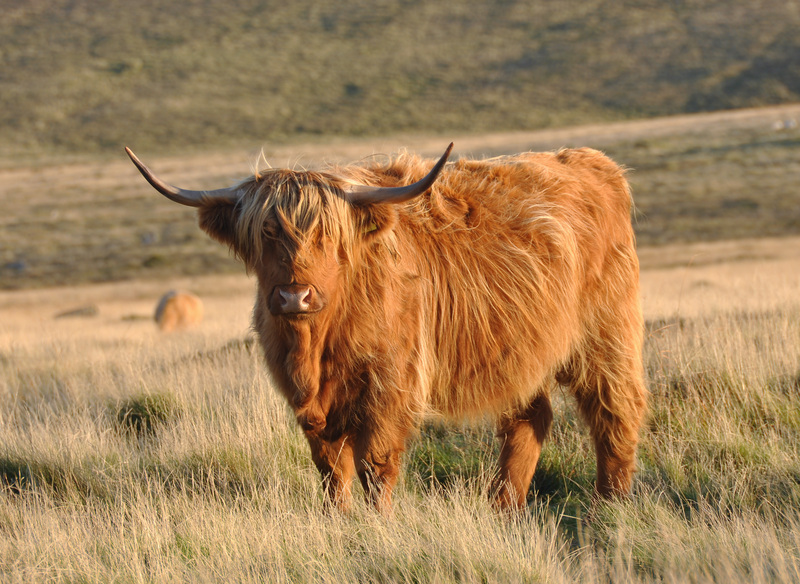 What additional lessons do you think we can learn from highland cattle?